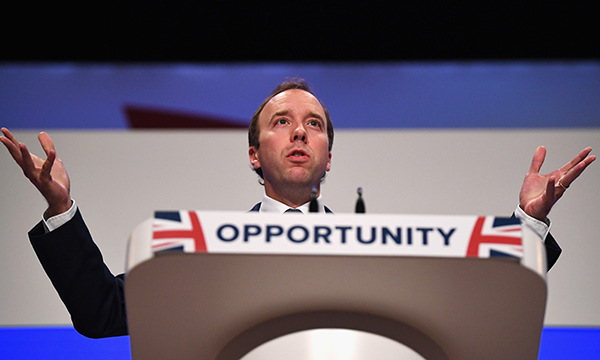 Health and social care secretary Matt Hancock today promised £240 million of social care money to ease NHS winter pressures. But a leading party colleague said ‘short-term bailouts’ would not solve the problems and the Alzheimer’s Society called the announcement a ‘let down’. He said reform of social care was long overdue and the government would be publishing its green paper 'later this year'. Earlier this year, Mr Hancock’s predecessor Jeremy Hunt announced the green paper would be delayed until the autumn. Local Government Association community wellbeing board chair, Conservative councillor Ian Hudspeth said: ‘Putting in place the right services and workforce requires forward planning and longer-term contracts. RELATED: Winter pressures: how will the NHS come this time round? ‘Adult social care services still face a £3.5 billion funding gap by 2025, just to maintain existing standards of care,’ he said. Alzheimer’s Society director of policy, campaigns and partnerships, Sally Copley described the amount promised as a ‘let down’ and less than 10% of what is needed to fix the social care crisis. Labour shadow social care minister Barbara Keeley said: ‘Tinkering at the edges like this is not going to solve the severe crisis in social care.